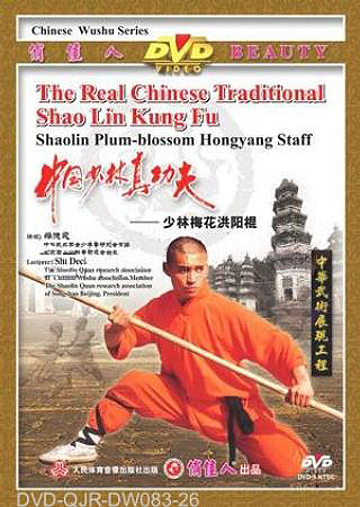 • Shaolin Plum-blossom Hongyang Cudgel is basic routine in shaolin weapons. In feudal society, the government did not allow the common people to have iron or steel weapons. To defend their temple, shaolin monks had to use the staff. Gradually the staff became an especially powerful weapon. The main techniques are raise, push, poke, uppercut and strike down.